Gorgeous, Luxury condo with 4 Bedrooms and 4 Baths located in the Islander Villas on the secluded west end of the island. Second row condo with ocean views from the porch. This is a non-smoking property. Beautifully updated kitchen with granite, all new furniture and new bedding. Other amenities include 5 televisions, 3 DVD players (includes one 3D/Blu-ray Player), wireless internet access available. Just a short stroll to sunbathing & surfing the fabulous Atlantic. Outside Shower, Sundeck and Islander Resort Privileges including: pool, kiddie pool, hot tub, tiki bar, and the Isles Restaurant. Put your feet up, leave the world behind and unwind. This villa offers all the comforts of home in a luxurious tropical atmosphere. 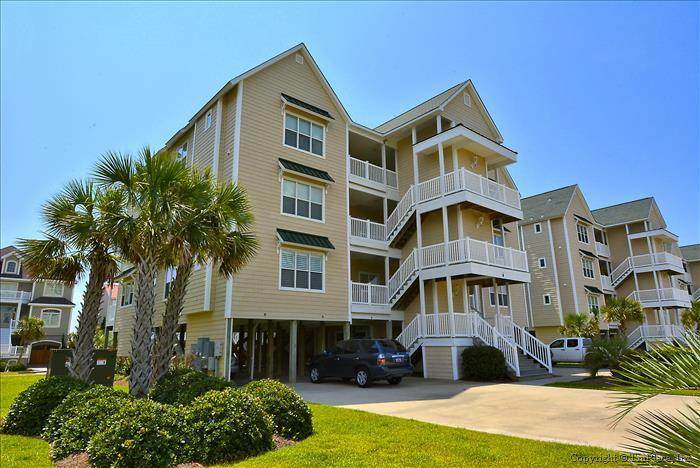 These luxury villas are located within the Islander Resort on the exclusive West End of Ocean Isle Beach. Enjoy a private oceanfront beach club and beach access. The villas are immaculately decorated with 9-Foot ceilings throughout, whirlpool bath tub in master bathroom, and lots of extras including top of the line appliances. Sleeps 12 Bedding: King, King, 2 Doubles, 2 Double. All bed and bath linens provided with your rental! This place was great! Everything in the condo was new or like new. The kitchen was very nicely stocked. We will rent this condo again.